Next year’s field trip to has filled up. 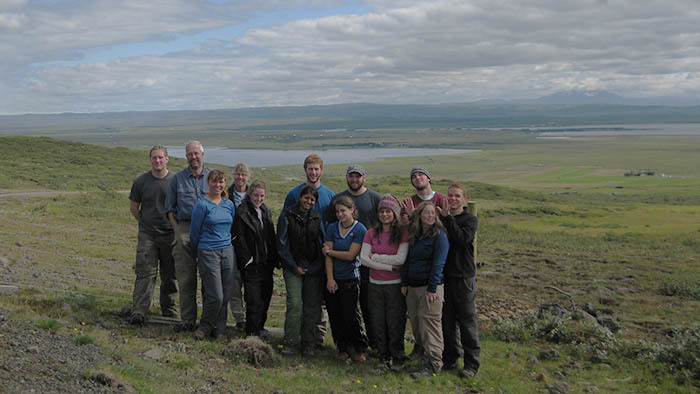 Cameron, Jon and Christoph will take 12 students on next year’s trip to explore the southern part of the island. Jon’s already busy updating our gear lists, chief paparazzi Christoph bought a new camera. Cameron? Well, Cameron is looking into the authoritative works on edible Icelandic weeds. We are so ready – and it’s going to be awesome! Building on the ENVS program’s long-term research along the Park River in Hartford, this year’s Methods in Environmental Science students have once again developed, designed, and carried out their own studies – which they presented this week. Research focused on a section of the south branch of the Park River where the CT DEEP will begin a massive re-channelization project in spring 2014 that will remove vegetation and sediment from the channel. 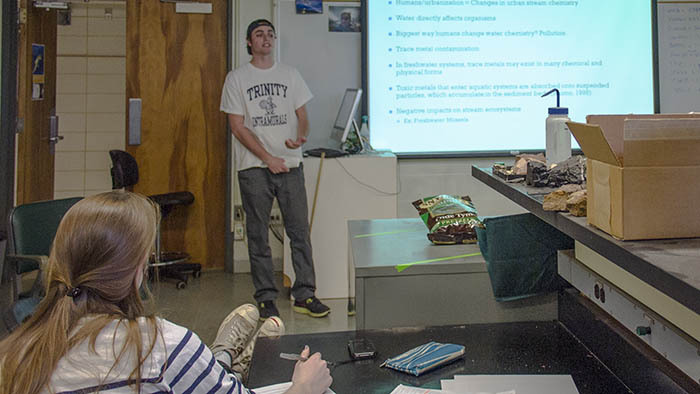 Students’ research covered topics ranging from determining concentrations of mercury and trace metals in stream sediments to evaluating temporal changes in pH and stream discharge. On land, students compared soil organic carbon levels and invertebrate species diversity between stands of the invasive plant Japanese knotweed and within plant communities dominated by goldenrods and other native forbs.